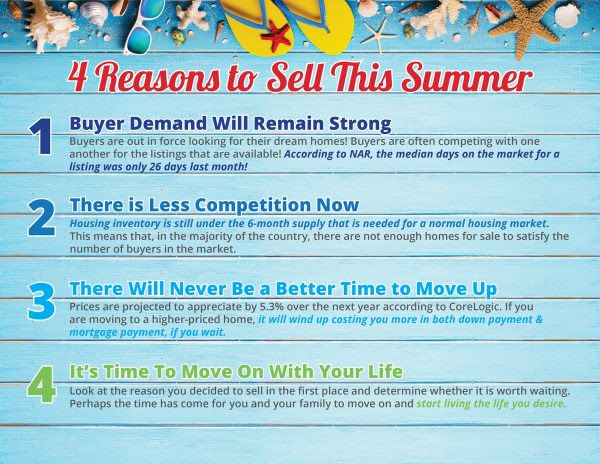 4 Reasons Summer is a GREAT time to SELL…. Here in San Diego Summer is officially here and not just the weather is great (except for that June gloom and marine layer! ), the Real Estate market is HOT! Any more questions? Curious about the value of your home? Wanna chat?